Merit is thrilled to offer the ClariVein®IC infusion catheter, for the minimally-invasive, non-thermal treatment of peripheral vasculature. It incorporates a coaxial catheter sheath with a dispersion wire and a self-contained, motorized unit for rotating the unique 360-degree dispersion tip. The device is fully disposable. Learn more about the device that has been used by physicians for nearly a decade. EmboCube™ is uniformly cut gelatin foam cubes pre-loaded into a Medallion® syringe, allowing for faster preparation and accurate delivery. The basixTAU™ is a new inflation device that brings versatility and ease of use to physicians. Designed with a fold-out handle the basixTAU reduces the rotational force needed during inflations and minimizes the chance for hand fatigue. Merit now offers the Dynamis AV™, a high-pressure, 0.035” over-the-wire percutaneous transluminal angioplasty (PTA) dilatation catheter. Indicated for use in PTA of the femoral, iliac, and renal arteries, and for the treatment of obstructive lesions of native or synthetic arteriovenous dialysis fistulae, the Dynamis AV is designed to overcome these challenges. 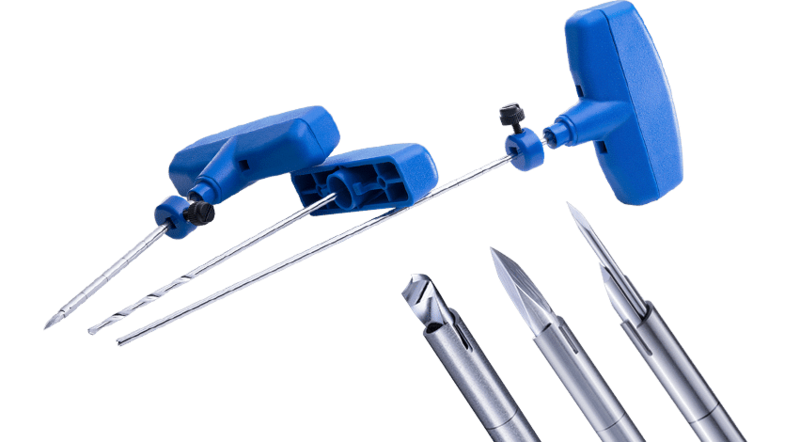 Our new extensive line of manual bone biopsy systems offers device features exclusive to Merit. 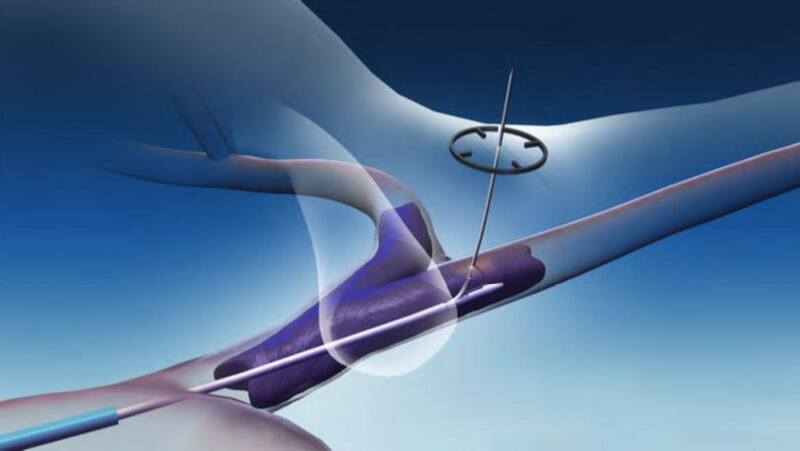 To support initial bone purchase, several systems include a unique introducer—engineered with a patented perforating cannula—to provide a controlled and effective alternative to powered access needles. Understanding that physicians have personal preferences, we offer access choices: direct or guided via the Seldinger-inspired approach. One of the most common problems with biopsy handling is the risk of being exposed to formalin and formaldehyde either through touch or inhalation. The IARC, which is the Cancer Agency of the World Health Organization, classifies formaldehyde as a category 1b carcinogen. 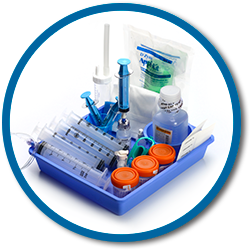 * Suited to a wide range of biopsy procedures, BiopSafe offers the same quality sample fixation you’re used to, but with additional safety. Embosphere® Microspheres are the only embolic to show a direct correlation between the level of arterial occlusion and the size of the microspheres used, allowing for consistent and reliable targeted occlusion. Size range 50-100μm is now CE Mark Approved. Merit Medical is proud to be the exclusive worldwide distributor of the Q50® PLUS* Stent Graft Balloon Catheter. This versatile balloon catheter has the broadest balloon diameter range with the lowest available profile and is available in two lengths for AAA and TAA cases. This product adds to Merit’s broad offering of products for dialysis access. Now Available, the Merit Maestro® Microcatheter is being offered preloaded with the True Form™ Reshapable Guide Wire. This system is designed to track tortuous vessels, allowing precise delivery of our portfolio of embolic products. Make this micro system your go-to choice for pushability, trackability, and kink recovery in your embolization procedures. The Prelude IDeal™ Hydrophilic Sheath Introducer was strategically designed with thinner walls and a larger inner diameter. Despite having a thinner profile, the IDeal is in fact stronger, with 124% more compression resistance and 23% increased kink resistance, as compared to the leading competitor. In addition, the Prelude IDeal features a slick hydrophilic coating, which facilitates smoother insertion and removal, decreases insertion force by 15% when compared to the leading competitor, and provides improved patient comfort. There is a reason it’s called IDeal. The Achieve® Programmable Automatic Biopsy System is spring-loaded for fast, accurate penetration. It gives you the precise control and quality sampling capability you need when working with calcified or fibrous lesions. The Pink Achieve™ Automatic Biopsy Device features a lightweight design, allowing one-handed use and convenient ultrasound transducer manipulation during breast biopsies. Its delayed firing option allows you to visualize needle placement within a lesion before capturing the sample. For precise control with small lesions and peace of mind in vascular areas, the Adjustable Coaxial Temno™ (ACT) Biopsy Device lets you manipulate the sample notch size from 9 to 19 mm. 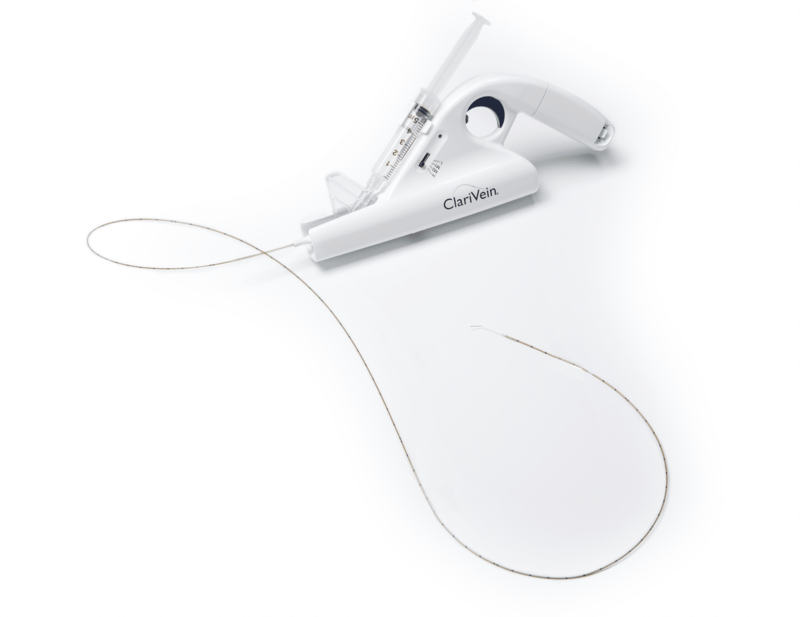 The coaxial introducer allows for multiple sampling from one percutaneous puncture. For breast, kidney, liver, lung, and thyroid biopsies, the Original Temno™ Biopsy Device promotes easy, reliable, and precise sampling and is available with or without a coaxial introducer needle. The Temno Evolution® Biopsy Device features a compact, ergonomically contoured body and tactile-enhanced plunger to increase comfort and allow one-handed operation. Its variable notch size (10 mm or 20 mm) provides clinical flexibility. Manually capture high-quality tissue samples with minimal patient trauma with the Tru-Cut® Biopsy Needles. The Aspira® Drainage System is a tunneled, long-term catheter used to drain accumulated fluid from the pleural or peritoneal cavity to relieve symptoms associated with malignant pleural effusion or malignant ascites. The system may allow patients to drain fluid and manage their symptoms without repeated trips to the hospital. For the vasculature that seemed out of reach, the Merit Pursue™ Microcatheter is a small distal French size microcatheter designed for pushability and trackability through small and tortuous vessels. The large ID allows the Pursue Microcatheter to deliver the same spherical and non-spherical embolics of larger diameter microcatheters. The DiamondTOUCH™ Digital Inflation Device combines the visibility and accuracy of a digital device with the convenience of an ergonomic one-handed prep handle. Pressures can be reached rapidly – up to 35 atm – with as few as three rotations of the handle. Enhance the patient recovery experience with the PreludeSYNC™, which assists in achieving hemostasis of arterial percutaneous access sites. It can now be personalized with your facility logo or preferred artwork. Merit Medical is excited to announce the launch of a new smaller embolic for your liver procedures – QuadraSphere Q2™ Microspheres. These precisely calibrated microspheres are sized 20-40μm (approximately 80-160μm when reconstituted) for distal intratumoral embolization. The True Form™ Reshapable Guide Wire is uniquely designed with a shapeable tip that can be shaped and reshaped multiple times for vessel cannulation, making it the go-to guide wire during endovascular intervention procedures. It is now available prepackaged with the Maestro® Microcatheter 2.4F for enhanced procedural efficiency. Merit Medical is the first to receive clearance from the U.S. Food & Drug Administration for PAE for relief of symptomatic BPH, with the new Embosphere PRO™ Prostatic Artery Embolization Kit. The Embosphere PRO™ brings convenience to the power and predictability of Embosphere Microspheres. A new addition to the InQwire® product line is the Merit InQwire® Amplatz guide wires. 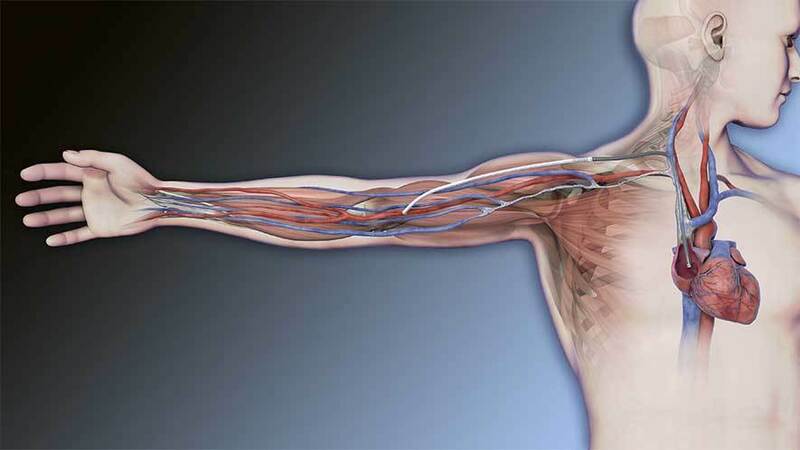 The Amplatz wires provide an increased level of stiffness that delivers support and stability within the vasculature for enhanced navigation. Introducing the Surfacer® Inside-Out® Access Catheter System, the proprietary Inside-Out® approach to restore access and preserve options. The DualCap System™ is a uniquely designed disinfecting cap system for use on both the male luer connector at the end of the IV tubing and the needle-free valve. The DualCap System consists of two caps designed to help prevent intraluminal contamination, as well as device cross-contamination, especially important for IV catheter use over extended dwell times. The PreludeSYNC™ Radial Compression Device is designed to assist in gaining hemostasis following catheterization procedures. The device has a soft band with a secure hook and loop closure. The compression device is available in 2 sizes (24cm and 29cm), has two inflation luer options, clear site visibility, and comes with random creative designs printed on the band. Whether it’s treating the renal arteries or crossing tough long lesions to restore blood flow below the knee, having a wide variety of available product and treatment options is important. The Advocate 0.35” PTA balloon offers an excellent level of options, with performance supporting your peripheral intervention needs. The True Form™ Reshapeable Guide Wire is an 0.014” guide wire that has been designed with the ability to be shaped multiple times and keep its shape during procedures. The hydrophilic coating and flexible shaft help navigate tortuous anatomy, while the stainless steel core gives excellent support for devices. The SwiftNINJA® Steerable Coronary Microcatheter is the most advanced, and first 180° articulating coronary and peripheral vascular microcatheter on the market today. Embosphere® Microspheres are the only embolic to show a direct correlation between the level of arterial occlusion and the size of the microspheres used, allowing for consistent and reliable targeted occlusion. The SwiftNinja Steerable Microcatheter, a straight tip catheter that articulates up to 180 degrees in opposing directions to rapidly select the most challenging vascular ostium. Speed, Control and Delivery at your fingertips. The Super HeRO® Adapter and Support Seal system expands upon the clinically proven HeRO Graft by allowing surgeons to utilize other standard wall and early cannulation vascular graft options. Whether it’ treating the renal arteries or crossing tough long lesions to restore blood flow below the knee, having a wide variety of available product and treatment options is important. The Advocate 0.18” PTA balloon offers an excellent level of options, with performance supporting your peripheral intervention needs. Merit PAK™ – a suite of pedal access kits including everything you need to access the arteries below the knees. The micro-needles, introducers, and dilators provide quick and easy access for limb salvage procedures. The SPINR high-performance guidewire controller can help when accessing distal anatomy, navigating tortuous vessels, crossing old lesions, and working through fresh blockages. Providing a wide range of versatility, the SPINR puts the control in your hands, so you, the clinician can easily and precisely adjust rotational speed. The DriPAD is a super absorbent pad that controls, isolates and traps biofluids while also containing and preventing the spread of odors. This premium pad can absorb up to 35x its weight in fluids, making them more efficient than the leading absorbent pad on the market. That’s up to 10x more absorption power than alternative pads. Merit Medical’s popular Performa Catheters are now available in 125 cm length for Interventional Radiologists performing transradial peripheral procedures. 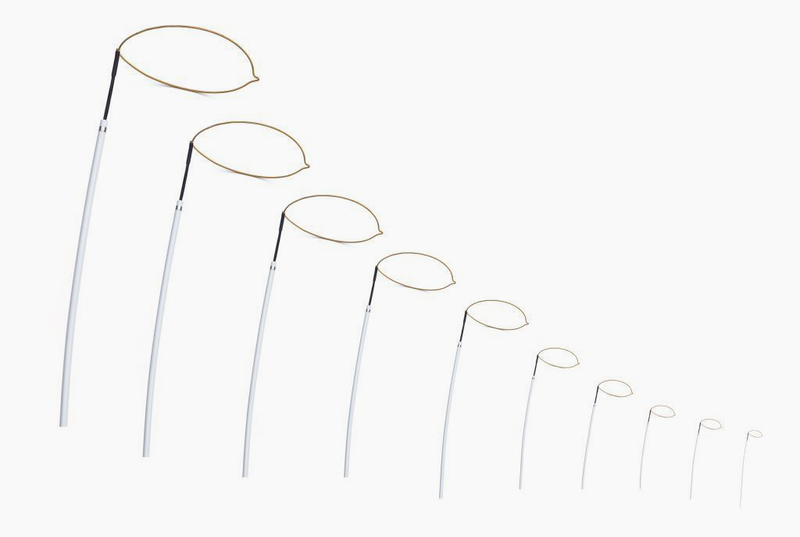 The ONE Snare Endovascular Snare System is now available in microsnare sizes – loop diameters of 2mm, 4mm and 7mm – with a 2.3F – 3F snare delivery catheter. The additions increase our number of available ONE Snare options to 15 kit configurations with 10 loop diameters (ranging from 2mm to 35mm), giving physicians additional options to meet clinically challenging cases. Easily used with just one hand, Merit Medical’s PhD hemostasis valve features both a conventional “tuohy” seal and a push-and-release bleedback seal. The EndoMAXX EVT Fully Covered Esophageal Stent with Reflux Control Valve introduces the integration of the latest in esophageal stent and polymer valve technologies. Based on the EndoMAXX Esophageal Stent platform. The integrated reflux control valve is designed to alleviate reflux, a common complication when stenting across the gastroesophageal junction. The Merit Laureate Hydrophilic Guide Wire consistently offers turn-for-turn responsiveness (1:1 torque) and a resilient hydrated gel coating that provides optimum lubricity and long-lasting durability. 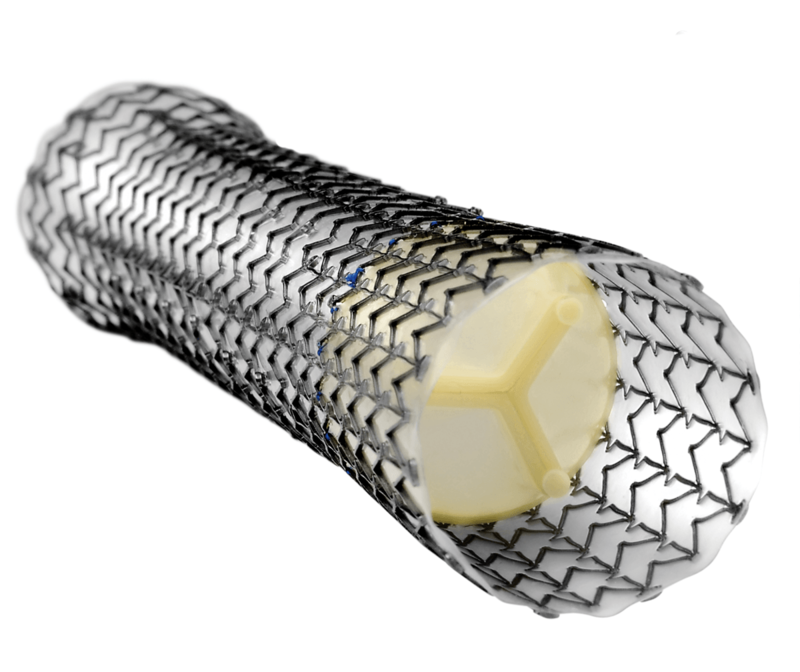 When navigating cardiac chambers, the HeartSpan Steerable Sheath is designed to deliver an ergonomic and comfortable control for precise articulation.